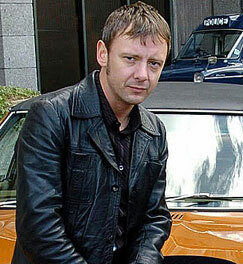 Life On Mars actor John Simm is returning to the theatre to spend more time with his children. Simm, who also plays The Master in Doctor Who, will go from detective on TV to detective on stage in a thriller, Speaking In Tongues. The West End run will mean he can live at home in Muswell Hill with wife Kate Magowan and their two children, Ryan, seven, and Molly, two. In recent years, Simm, 38, has spent three months making Channel 4 drama The Devil’s Whore in ..South Africa.. and long stretches in Manchester for the BBC’s Life on Mars. Although he is not permitted to talk about it, he is also understood to be appearing in the Doctor Who special this Christmas. It is the West End premiere of the Andrew Bovell play that was turned into the acclaimed film Lantana, in which a detective investigates the disappearance of a psychiatrist who has been advising his wife. His co-stars will be Kerry Fox, best remembered for Shallow Grave, and Ian Hart. Simm returned to the stage after a 12-year break two years ago with Elling, which ransferred from the Bush Theatre to the West End after rave reviews. A spokeswoman for Film London said: “We don’t think John’s pessimism about filming in London is borne out.” She said 118 feature films were shot in London last year. Movies being made at the moment included London Boulevard and the Big Bang starring Emma Thompson. Speaking In Tongues opens at the Duke of York’s Theatre on 18 September. Tags: actor, children, family, john, simm, speaking, speaking in tongues, Stage, Theatre, thriller, tongues, west end. Bookmark the permalink.